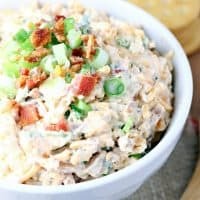 COPYCAT NIEMAN MARCUS DIP — This loaded dip features cheddar cheese, bacon, slivered almonds, green onions and hot sauce in a mayonnaise and sour cream base. Perfect with potato chips, veggies or crackers. 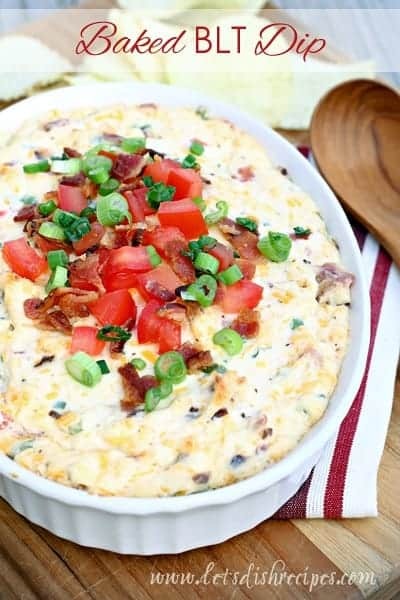 Nothing beats a good dip for bringing along to potlucks and backyard barbecues, and this Copycat Nieman Marcus Dip is always hit wherever it’s served! I confess, I’ve never been to Nieman Marcus, either for shopping or eating, so I have no idea how close this dip resembles the original. But it doesn’t really matter, because it’s absolutely amazing! Think loaded baked potato, only served dip style. And minus the potato–but that’s where the potato chips come in. Ruffles are my favorite thing to serve with this dip. And warm waffles fries are great too. Fritos and Ritz crackers are also favorites. But this dip goes well with just about anything, including but not limited to chips of all kinds, veggies, crackers and slices of toasted baguette. It’s one of those great, all-purpose appetizers that you can serve for just about any occasion. This dip can mostly be made ahead of time. In fact, I recommend it so the flavors can blend. However, I suggest adding the crispy bacon and toasted slivered almonds just before serving, so they’re nice and crunchy. But if you mix it all up together, it can still be served within a few hours and still maintain some crunch. And leftovers are good too–the bacon an almonds just aren’t as crunchy. 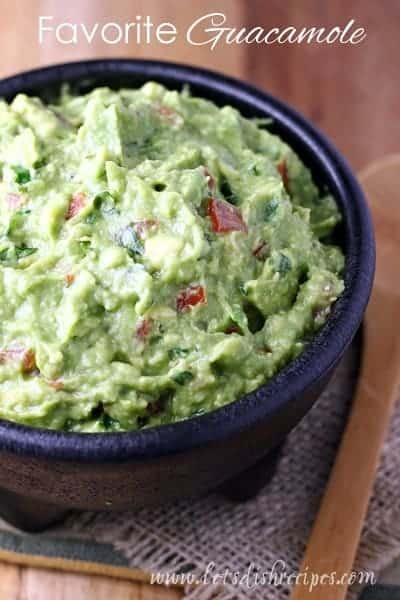 This does make a lot of dip, which makes it great for parties, potlucks, tailgating and other celebrations. It’s pretty uncommon to have leftovers at my house. 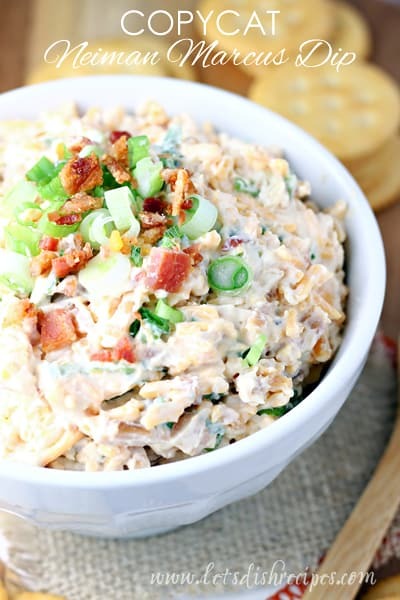 If you’re looking for an all-around great dip to add to your recipe collection, this is it! You really can’t go wrong with cheese and bacon, and you’ll probably get lots of requests for the recipe. 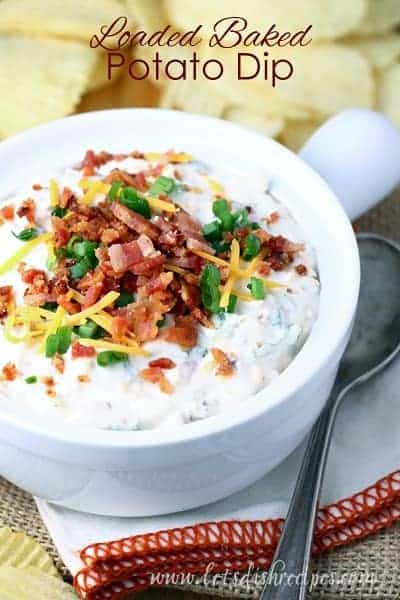 Be sure to save this Copycat Nieman Marcus Dip recipe to your favorite Pinterest board for later. 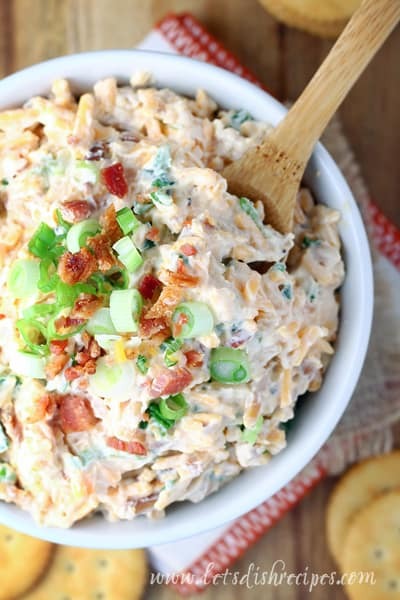 This loaded dip features cheddar cheese, bacon, slivered almonds, green onions and hot sauce in a mayonnaise and sour cream base. Perfect with potato chips, veggies or crackers. In a large bowl, combine all ingredients until well blended. Cover and refrigerate for 1-2 hours. If made ahead more than a few hours, add bacon and almonds just before serving. Serve with crackers, chips or veggies.